Left: original art, from 2003. Right: redrawn to commemorate the new website, in 2017. Integra: Is that really so surprising? Filler art, also on DA. I needed a bit of practice drawing Pip before introducing him into the comic (and drawing PxS fanart), which will happen in about a year. You knew somebody had to do this. 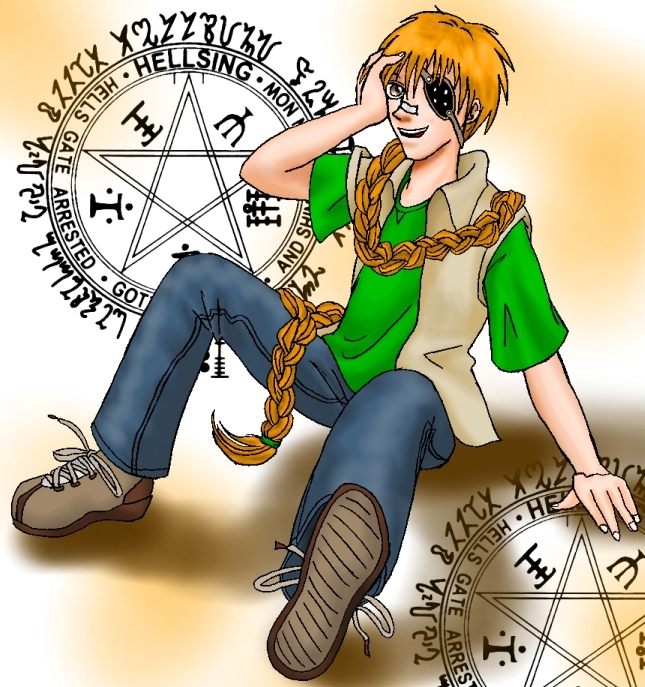 Also on Deviantart. Filler art, also on DA. 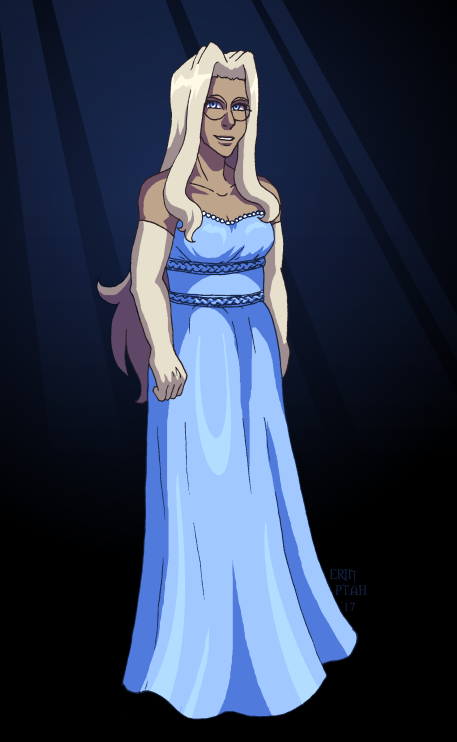 (It replaces the application form for the next fangirl storyline, coming soon…) AxI runs into a little snag… – Ahem. – Alucard! How dare you? What about ME?? – And me! 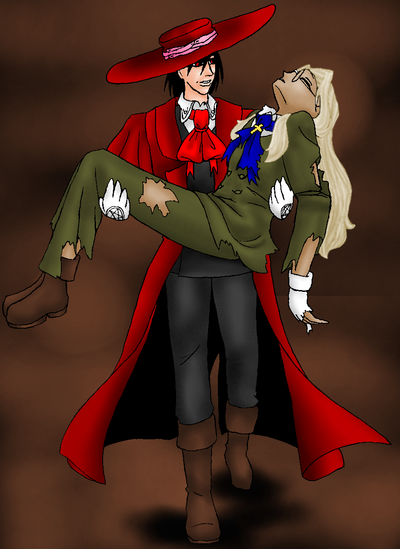 …fangirls who want Alucard (or Integra) for themselves. Filler art, also on DA. 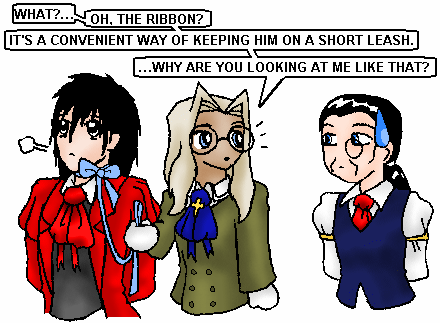 Integra: What?… oh, the ribbon? It’s a convenient way of keeping him on a short leash. … Why are you looking at me like that? Filler art, also on DA. 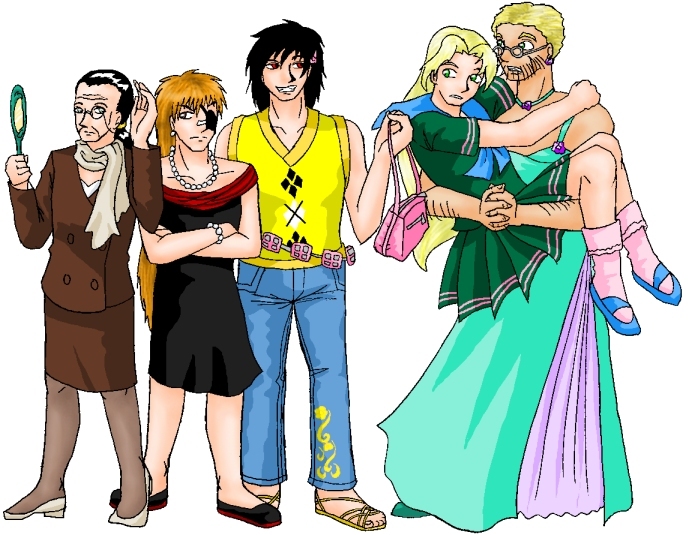 I got an email ordering me to draw the men of Hellsing and Iscariot in drag. Who am I to refuse such a decree?